When I was about four, I started helping my grandma prepare Thanksgiving dinners. Our family had a large turnout for Thanksgiving back then, usually around 60 people. A small group of us would gather on the Wednesday evening before to break up bread for stuffing, cut fruit for the weird jello salad that my family loved to have, bake pies and bread and decorate for the next day. I usually ended up spending the night on the couch just outside my grandparents’ bedroom, excited to see my extended family the following day. We had an incident on Thanksgiving in 1996. I was sixteen and was only a few months in to being a licensed driver. This would come into play in a way I would have never expected. As we had for years before, our small group gathered on Wednesday evening to prepare for the big day. This year would be especially large, and instead of the usual two turkeys, Grandpa was determined that we would have three this year. With limited oven space (as theirs as well as the generous neighbor’s would already be taken), one turkey would go into an electric roasting pan. With limited counter space, it was decided that the front port was a suitable spot for the roaster. With alarms set for 4:00 a.m., we tucked ourselves in to bed (or couch) and went to sleep. In the middle of the night-it had to be around 2 a.m., there was a crash on the front porch. Everyone jumped up. We rushed out to see that not one, not two, but three cats had managed to tip the roaster off the porch table and were happily devouring our Thanksgiving turkey. Grandma cried. Grandpa yelled and stomped. I was of the mind that we had two turkeys now instead of three and that would just have to do. The grandparents did not agree. I had a license and no real responsibilities. Meijer was open 24 hours. I was tasked with going out at the tender age of 16 and finding a fresh-not frozen -because that would take days too long- turkey. I went to Meijer, the only store open in the wee hours of Thanksgiving morning. I took the easy route and asked a manager to point me to the fresh turkeys. He laughed. I cried. He then decided to help. Several phone calls later, there was a turkey on hold for me at a different location. Over an hour away. We didn’t have cell phones, internet or GPS, so I had to just make the choice to go and figure it out on the way. I called my mom from a payphone and told her I was driving “to town” and would be longer than expected. By 7:00 Thanksgiving morning there was a turkey back in the electric roaster. By the time it was needed, there was a turkey. No one knew that I had gone so far. No one knew that I had driven on the interstate for the first time that frigid morning. None of the guests knew of our disaster. Thanksgiving went off without a hitch. I think about that time quite a bit, especially around the holidays since my grandparents have passed on. Here at HG Logistics, a third party freight broker in Cincinnati, Ohio, we take a similar attitude. If you end up with a “third turkey” situation, we’ll be there to go the extra mile to get you back on track. We have many first time customers who come to us in a jam, left with a load on their hands, often on holidays or weekends. Those first time customers are long-term customers because of the can-do attitude and easy accessibility they get from HG Logistics. Your shipment will find its way without a hitch when you use the pros here at HG Logistics. 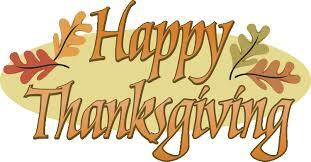 HG Logistics would like to wish everyone a Happy Thanksgiving. We want our friends, families and business partners to know that we are thankful for them every single day. We also want to be someone that you are thankful for, so give us a call and let us deliver for you!